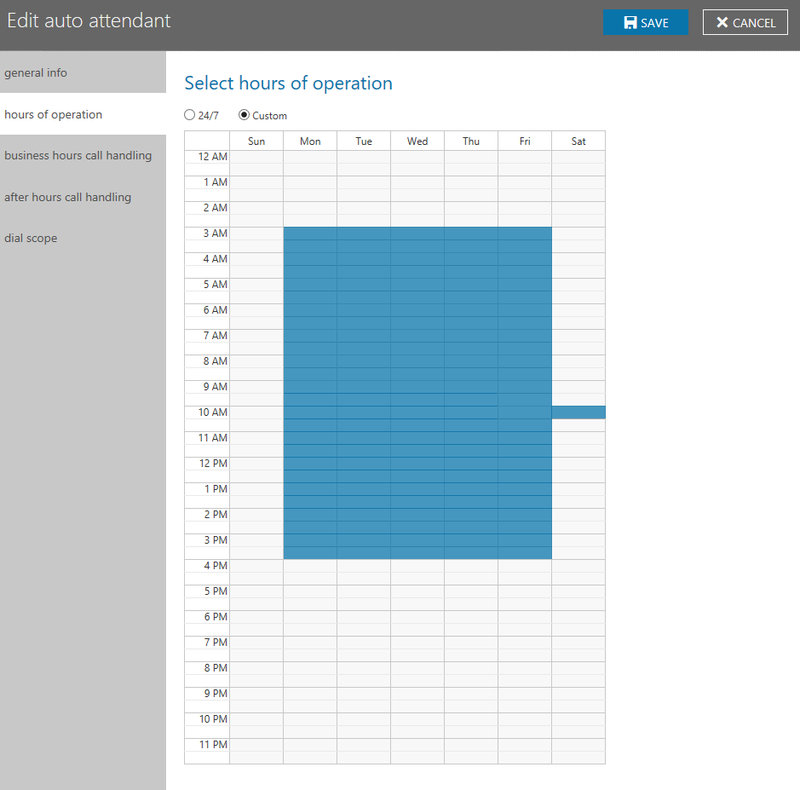 HomeAutomatic holiday schedule for Auto Attendant? Automatic holiday schedule for Auto Attendant? The next step from my automatic RGS holiday set was to see if it could be converted to work with Auto Attendant in Skype Online. Easier said than done. There is no way in the GUI to set a future date where the phone lines are closed. Tried going through every menu in the Skype Online portal, but no luck. My first thought was, there has to be a way to do it in PowerShell. What first caught my attention, was the New-CsOnlineSchedule commandlet. What this script does is that it goes trough each date in my holidaylist $holidays to check if one of those dates match todays date. If it gets a match, then it redefines one of the day variables, and sets the time range to the value of $vaule. The easiest was to create a range where the phones were open for one minute in the middle of the night to mark this as a day where the phone is closed. If this was set to a daily schedule it should automatically close the phoneline on holidays. I tested to create a schedule, but it did not update the schedule in the GUI. After spinning my head around a little, it hit me. Off course, new-CsOnlineSchedule only creates a schedule but not sets it. The problem I then encountered was that there was no commandlet called Set-CsOnlineSchedule. I started going through the different commandlets, and found that inside New-CsOrganizationalAutoAttendant there was a parameter called Schedules. After this I started going deep down the rabbit hole of PowerShell and .net, so I don’t remember how I found out this next thing. 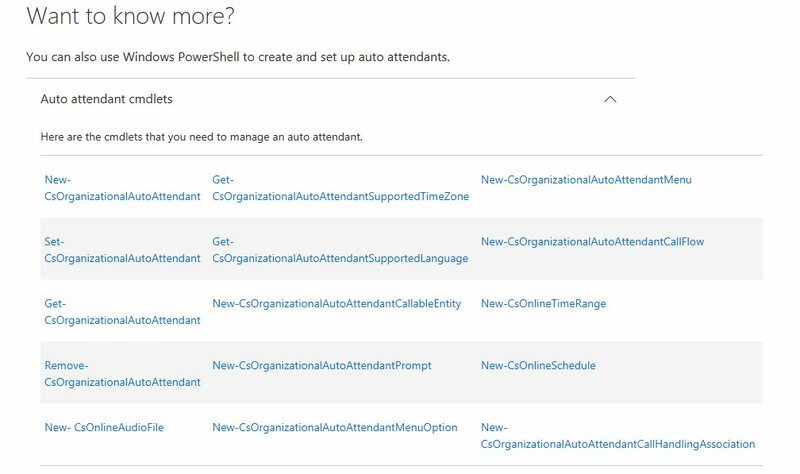 I found out that the assembly of the Schedules parameter was named Microsoft.Rtc.Management.Hosted.Online.Models.Schedule. I tried to create a new variable out of this assembly, in a hope that I could create a schedule another way. Tried looking in the PowerShell module folders on the computer, but did not find anything. Why haven’t Microsoft added the possibility to update the schedule?